Your marketing could be better, simpler and drive bigger results, just like our customers. explore how data comes to life. about our product and marketing insight. View Localytics awards and accolades. We want your questions, complaints, praise, feature requests—we're listening. Let us know how we can help. 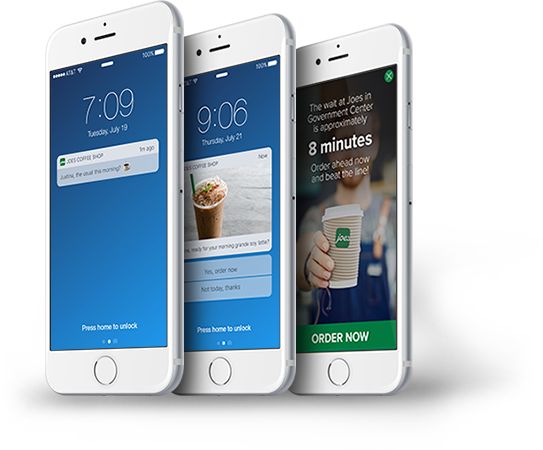 It never hurts to get a refresher on what a push notification actually is, or everything covered by the term mobile marketing. See a list of the topics you care about, in the format you prefer. Benchmarks for all apps for H2 2018. Benchmarks for Business & Technology apps for H2 2018. Benchmarks for Travel & Lifestyle apps for H2 2018. What Can Personalization Do For Your Marketing? Study after study has shown that personalizing messages can make your marketing far more effective. The thing is, there’s more than one way to personalize a message. Ready to up your personalization game? Our Stages of Personalization eBook shows you the path to delivering a more personalized experience for your customers. There's plenty of opportunity for brands to build longer, more valuable relationships with their users. Now you just need to know where to focus your digital strategy. An app marketing review. Just for you. Take a deep dive into your app marketing campaigns with an expert. It only takes 30 minutes to see what Localytics can do for your mobile strategy. We’ll be in touch shortly to schedule your demo.